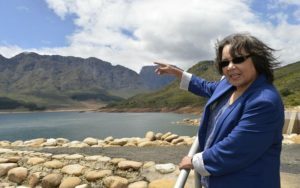 The City of Cape Town last month approved a number of amendments to the Water By-law. In addition to noting the amendments, the City encourages residents to familiarise themselves with what is required of them in terms of this legislation. On 31 May 2018, Council voted to approve a number of proposed amendments to the Water By-law. 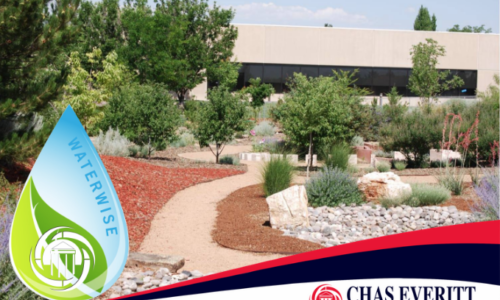 These changes were aimed mainly at improving clarity, as well as preparing the City for a more water-scarce future. Residents should please note that this amendment does not replace the Level 6 Water Restrictions. Rather, water restrictions are implemented in addition to this by-law, when necessary. · Updates have been made to align the By-law with new legislation, standards and technical specifications. · A prepayment meter is now an option, in addition to the WMD, as a Council water meter. While this technology is not yet at a stage of development for uptake by the City, having this item of legislation in the By-law allows the City to make use of it in the event that it becomes appropriate and necessary. Your home or business is connected to the City’s water network through a water meter, which usually sits in a small chamber under the pavement outside your property. We read your water meter once a month to calculate your monthly water and sewerage use. The meter is read by a different person each month. We take a meter reading using a handheld computer terminal that contains core information about the property, such as the erf number and the address. 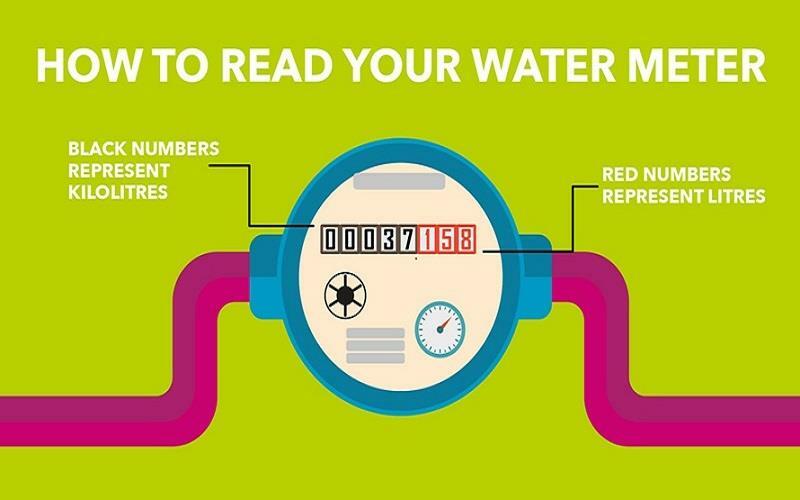 If we cannot read your meter (due to your gate being locked or other circumstances) and you do not submit your water reading, your bill will be an estimate based on your previous water use. All cost estimates will be reversed, if necessary, when we get an actual reading. DID YOU KNOW?Well-run City: Each year, we replace about 9 000 old or malfunctioning water meters. Make sure you know where your water meter is located. Make sure it is not obstructed (e.g. by sand or weeds) and is easy to read. Your water meter should be accessible to City officials at all times. If your water meter is behind locked gates, or if dogs prevent the meter readers from taking a reading, you can submit the reading yourself (see below). Alternatively, ask the City to relocate your meter to the outside of your house, via the City’s Service Requests application. You can submit your water meter reading by calling 0860 103 089 or entering it online via your municipal account on our e-Services portal. No matter the type of water meter, black numbers represent kilolitres and red numbers represent litres. As you are charged per kilolitre, only supply the black numbers when submitting your reading. Inclusive City: The City has installed free-call phones at some City facilities to allow you to make enquiries and request services at no cost. All formal properties have water meters, which we use to read your water consumption and calculate your monthly bill. However, there are different tariffs for residences, businesses, and other organisations. You can also go to our service requests portal and report or request an issue online. If you need some help with how to place a service request or report an issue, please see Submit a service request. 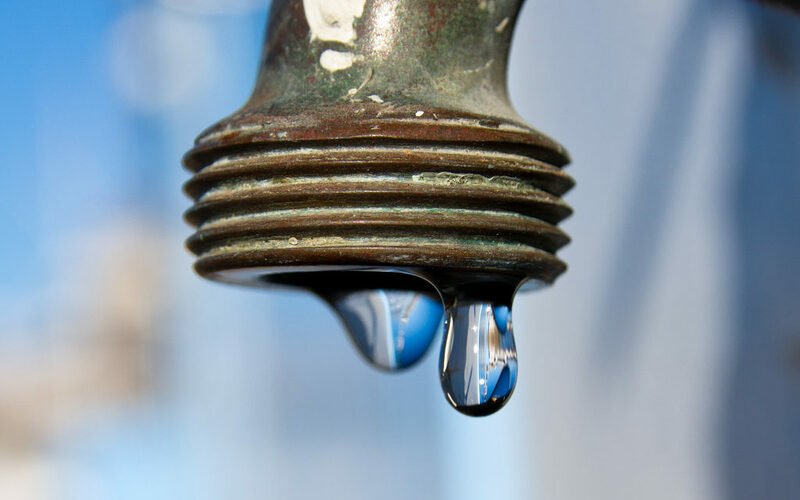 “Water saving features such as storage tanks, water efficiency devices, and boreholes in particular are unsurprisingly proving to be major selling features in Cape Town South, as property buyers are looking at the water problem as a long-term issue”, says Andre de Villiers, veteran Southern Suburbs real estate agent and owner of the Cape Town South group of four Chas Everitt offices. “Pools are being seen as far less of an advantage and more of a hassle to be dealt with and water-wise gardens are also attracting a lot of positive discussions,” said de Villiers. From the City of Cape Town. We have reached a point of no return. Despite our urging for months, 60% of Capetonians are callously using more than 87 litres per day. It is quite unbelievable that a majority of people do not seem to care and are sending all of us headlong towards Day Zero. At this point we must assume that they will not change their behaviour and that the chance of reaching Day Zero on 21 April 2018 is now very likely. 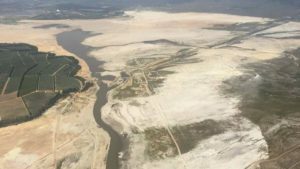 The people who are still wasting water seem to believe that Day Zero just can’t happen or that the City’s seven augmentation projects – set to produce around 200 million litres per day – will be enough to save us. This is not the case and, while our water augmentation programme will make Cape Town more water resilient in the future, it was never going to be enough to stop Day Zero. We can no longer ask people to stop wasting water. We must force them. We have listened to the comments of thousands of residents asking for fairness. Council will on Friday be voting on a punitive tariff that will charge residents exponentially higher rates for water usage above 6 000 litres per month. I will personally fight to ensure that the proposed punitive tariff exempts those who are using less than 6 000 litres per month. Provision will be made for households larger than four people to ensure that they are not unfairly penalised. We ask residents to contact the City beforehand on water@capetown.gov.za or enquire at their nearest walk-in centre. 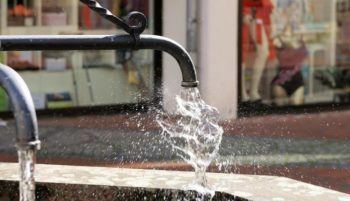 The proposed Drought Charge is likely to be dropped after a massive outcry from Capetonians that it was unfair. I understand that response and it has personally been a tough lesson for the City. I just want you to know that the City proposed the charge because we wanted to keep delivering important and essential services during this crisis. I wanted to continue making Cape Town a city that delivers opportunities for all. We are now going to have to make deep cuts to important projects. We will be moving to level 6B restrictions with a new limit of 50 litres per person per day to make up for the many months of missing the 500 million litre per day collective consumption target. The new restrictions will come into effect on 1 February 2018. The new daily collective consumption target is now 450 million litres per day. This will be in place for 150 days after which the City will reassess the situation. Level 6B restrictions will also limit irrigation using boreholes and wellpoints. The City has also advanced its planning for Day Zero with approximately 200 sites having been assessed. The City will be announcing everyone’s local collection points from next week so that communities can begin preparing for that eventuality. We will also be making detailed Day Zero contingency plans available soon to answer all questions that residents and businesses might have. 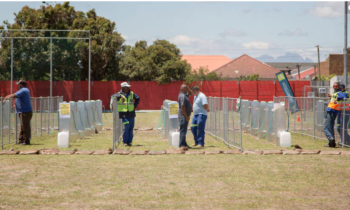 In terms of the City’s work, we have been working hard to reduce demand through advanced pressure management, massively ramping up the installation of water management devices at high consumption households. Our teams are also significantly intensifying the leak detection and repair programme, and we are rolling out education and awareness campaigns and extending our use of the treated effluent system which offsets the use of the drinking water for non-potable purposes. Teams are working around the clock to deliver the emergency plan for desalination, groundwater and water reuse. But, as I have already said, this alone will simply not be enough to avoid Day Zero without savings from all residents. Cape Town, this is the moment where we can bring about the fundamental behaviour change that is needed to save us all from running out of water. The time to act for everyone’s sake is now. So if we reduce the demand enough now, we can still get our water delivered to our houses and not have to queue daily for our allocation. 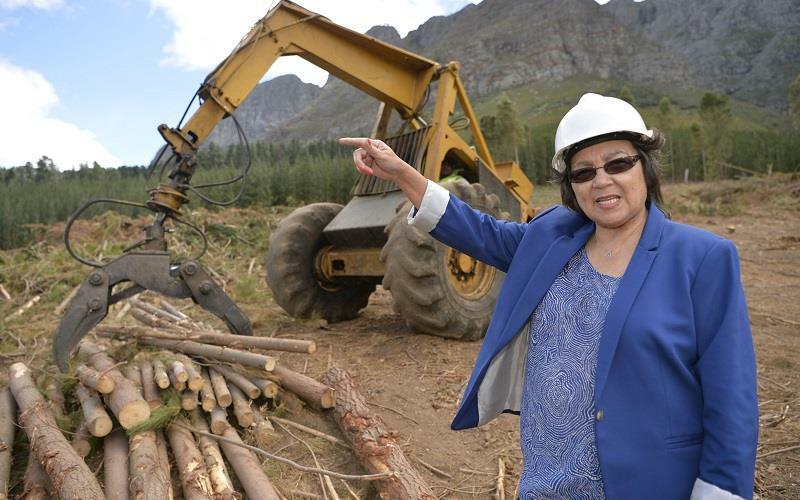 Today I visited the Wemmershoek Dam to view the progress made on removing alien vegetation in the catchment area. Alien vegetation around the dam and in the catchment areas uses a huge amount of water and clearing this vegetation will assist the city to conserve water that would have otherwise been used by these trees. Over the last year, a City of Cape Town-appointed contractor has cut down over 50 hectares of pine trees from a city plantation used for commercial and industrial purposes. The remaining 110 hectares will be cleared over the next year. Removing these remaining plantations will improve stream flow into the dam and could secure an extra week or month worth of water supply for the city. At Wemmershoek, the saving will be approximately 1 million litres per day when all pine trees are removed. A process is now under way to ensure that we harvest the remaining plantation in a shorter period in order to minimize the potential loss of water. We will also be in contact with neighbouring land owners to ensure that the catchment area outside our boundary stays free of alien vegetation to secure a sustainable run-off into the Wemmershoek Dam. This project forms part of our water resilience programme aimed at building up the city’s dam storage amid a persistent drought crisis. This week dam storage levels declined by 1% to 36,8% and only 26,8% of that water is useable. Collective water usage by the residents of Cape Town currently stands at 582 million litres per day. This is 82 million litres above the target usage of 500 million litres per day that we require to see the city through the drought. 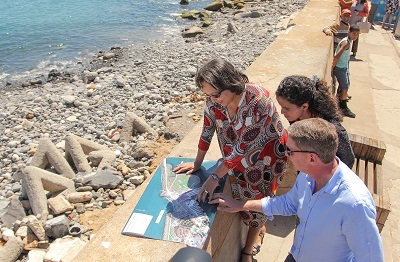 We appreciate the water-saving efforts of Capetonians and I would like to thank Team Cape Town for their assistance. There are still many more residents and businesses that have to come on board to enhance our water-saving efforts. We can only make it through this drought with the help of each and every resident doing their part while the City works as fast as possible to bring additional supply online. The City has implemented a successful vegetation control programme for more than 10 years and there are resources to continue the programme in the future. As the City works on expediting all additional supply schemes, it is vital that water-saving by residents and businesses continues so that we can boost our joint efforts to beat the drought. Only by working together, will we ensure that we do not run out of water. Save Water – Stop Eating Meat! Our severe drought in the Western Cape has made a lot of us more aware of our ‘water footprint’, the amount of fresh water we use plus the amount used for the goods and services we consume every day. The obvious contributors to our water footprint are washing, cooking and bathing. But the biggest contributor to our water footprint is our diet! While these are US figures they are indeed fascinating and there is no reason to think they are not compatible where comparable! “A 1/3-pound burger requires 660 gallons of water. Most of this water is for producing beef. 1 pound of beef requires 1,799 gallons of water, which includes irrigation of the grains and grasses in feed, plus water for drinking and processing. 1 slice of bread requires 11 gallons of water. Most of this water is for producing wheat (see below). 1 pound of wheat requires 132 gallons of water. 1 gallon of beer requires 68 gallons of water or 19.8 gallons of water for 1 cup. Most of that water is for growing barley (see below). 1 pound of barley requires 198 gallons of water. 1 gallon of wine requires 1,008 gallons of water (mostly for growing the grapes), or 63.4 gallons of water for 1 cup. 1 apple requires 18 gallons of water. It takes 59.4 gallons of water to produce 1 cup of apple juice. 1 orange requires 13 gallons of water. It takes 53.1 gallons of water for 1 cup of orange juice. 1 pound of chicken requires 468 gallons of water. 1 pound of pork requires 576 gallons of water. 1 pound of sheep requires 731 gallons of water. 1 pound of goat requires 127 gallons of water. 1 pound of rice requires 449 gallons of water. 1 pound of corn requires 108 gallons of water. 1 pound of soybeans requires 216 gallons of water. 1 pound of potatoes requires 119 gallons of water. 1 egg requires 53 gallons of water. 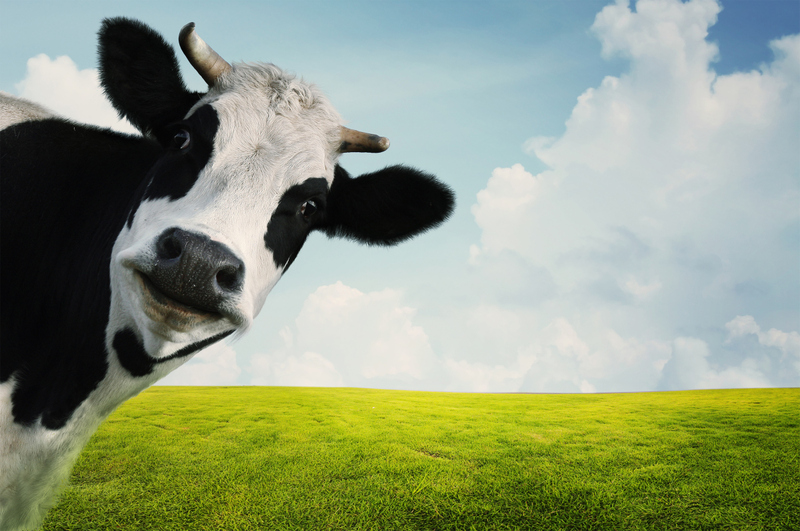 1 gallon of milk requires 880 gallons of water or 54.9 gallons of water for 1 cup. That includes water for raising and grazing cattle, and bottling and processing. 1 pound of cheese requires 600 gallons of water. On average it requires 1.2 gallons of milk to make 1 pound of cheese. 1 pound of chocolate requires 3,170 gallons of water.